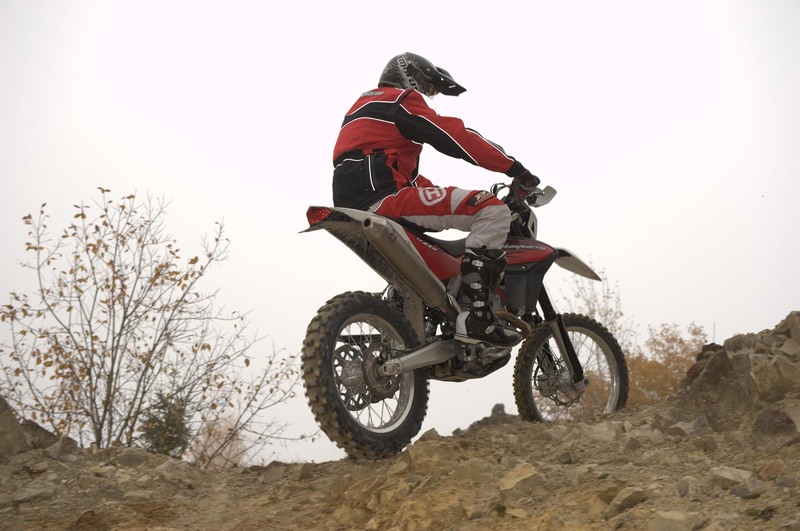 Taking the “anti-lock brakes don’t work off-road” mentality head-on, Husqvarna has debuted an anti-lock braking system (ABS) package designed specifically for off-road use. 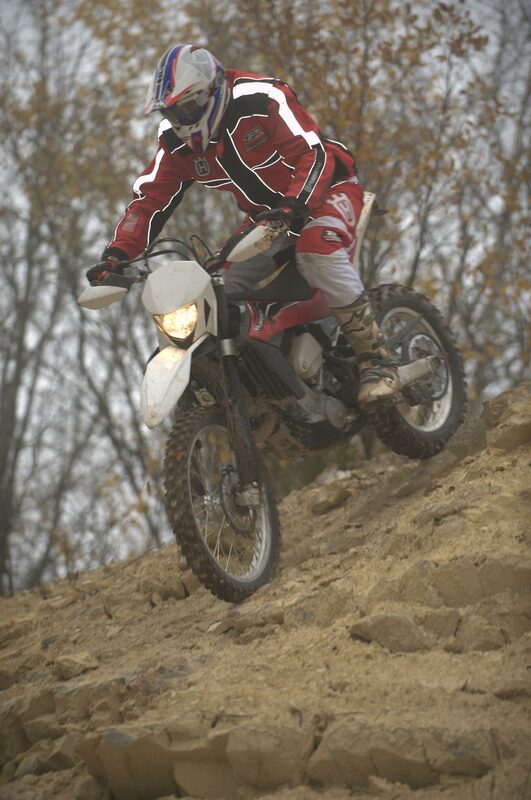 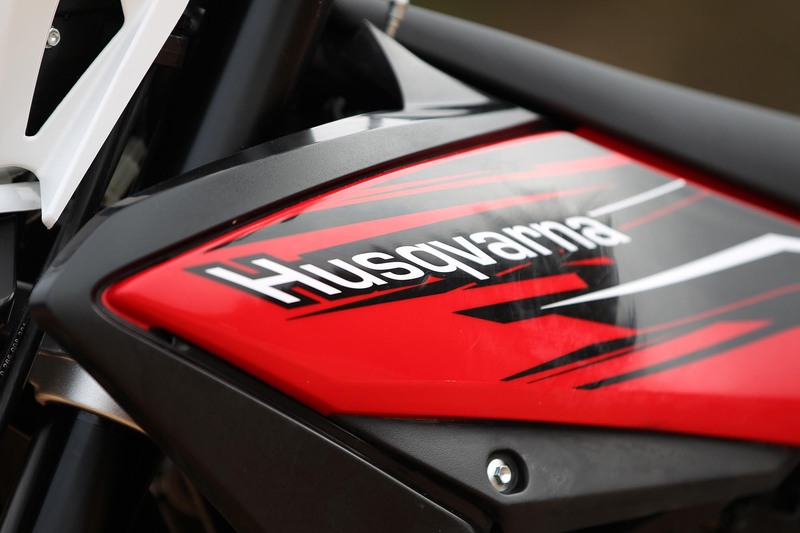 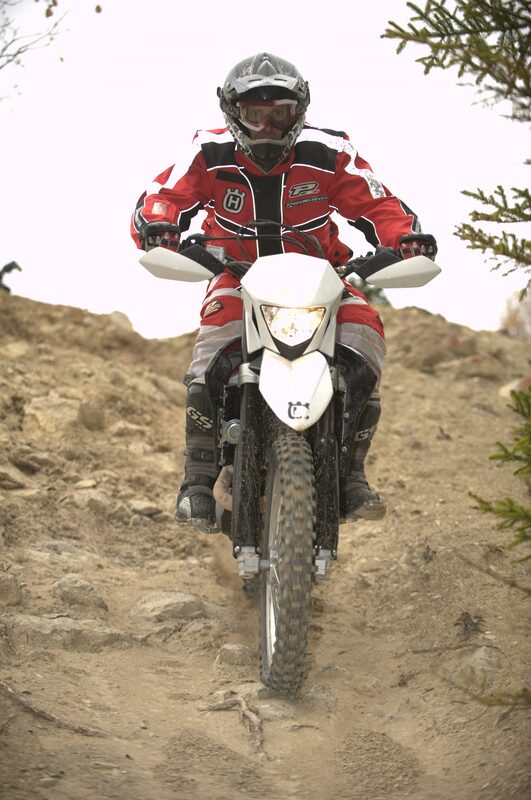 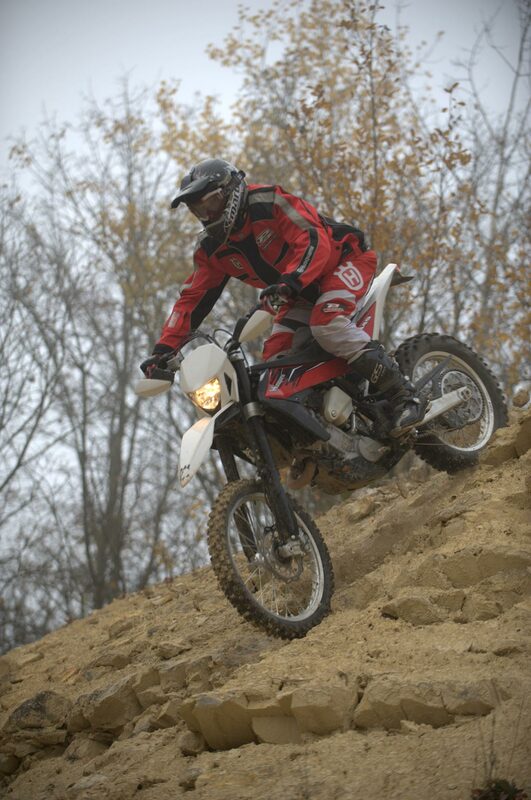 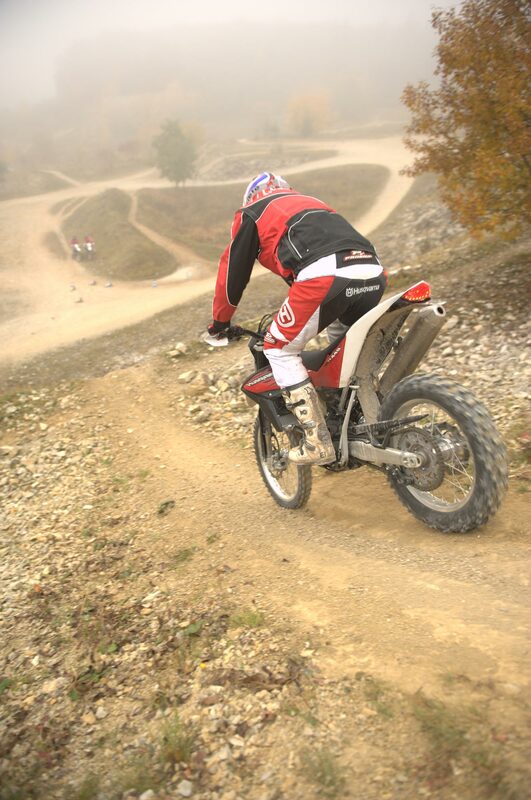 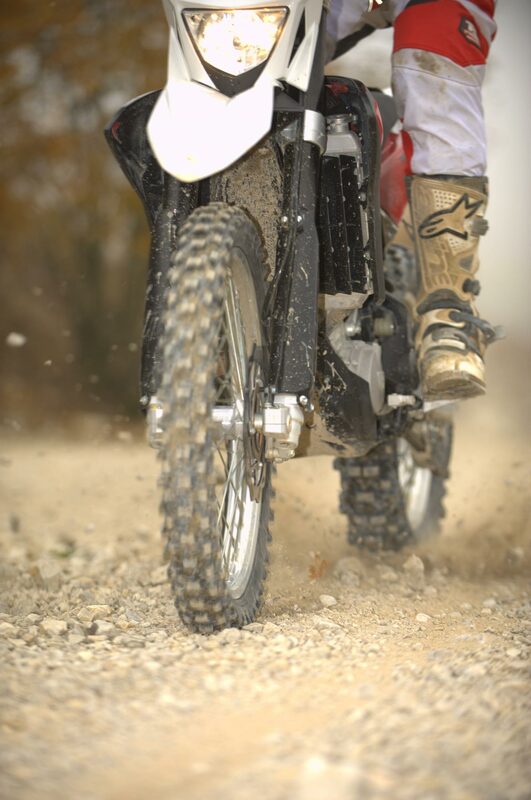 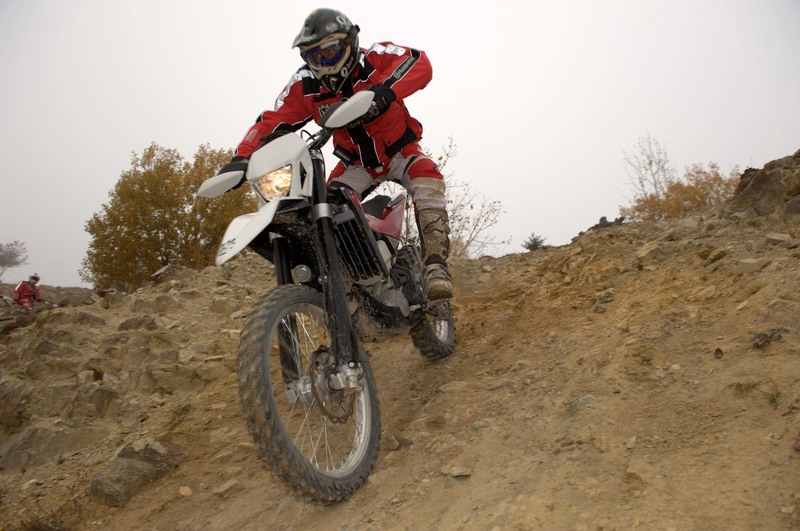 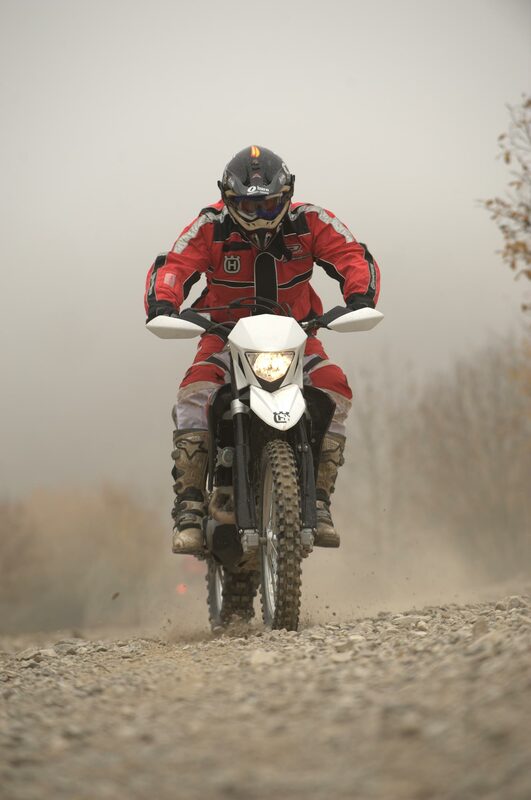 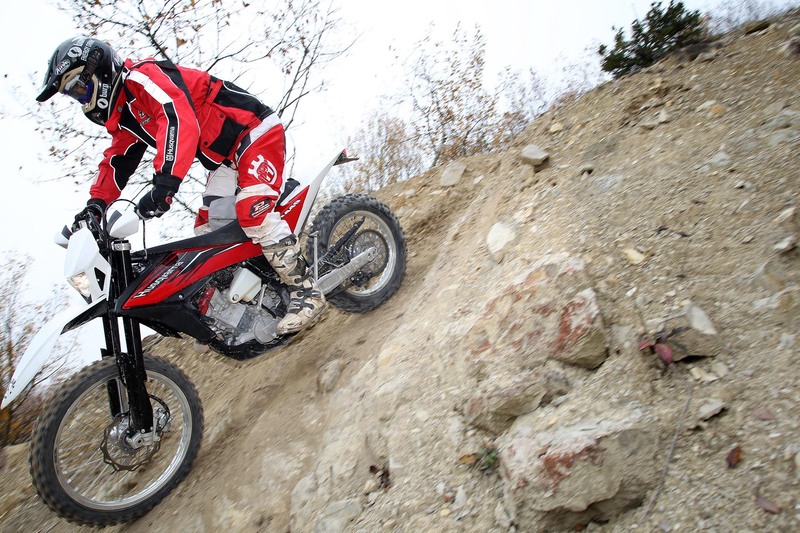 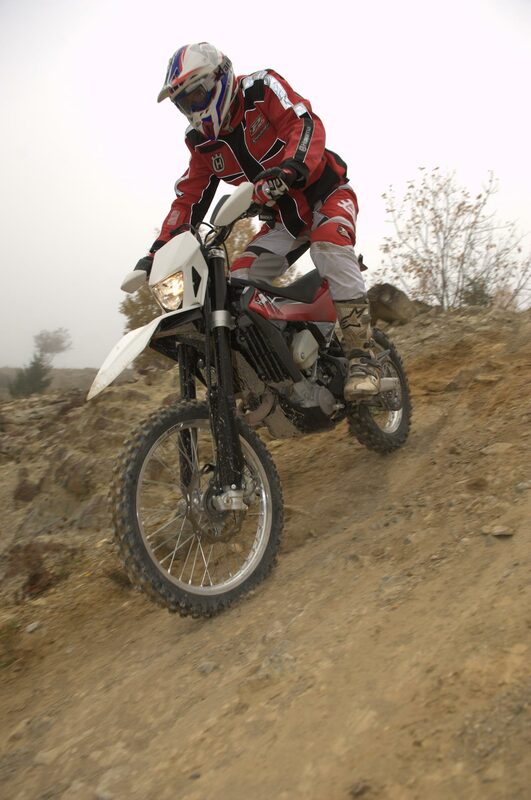 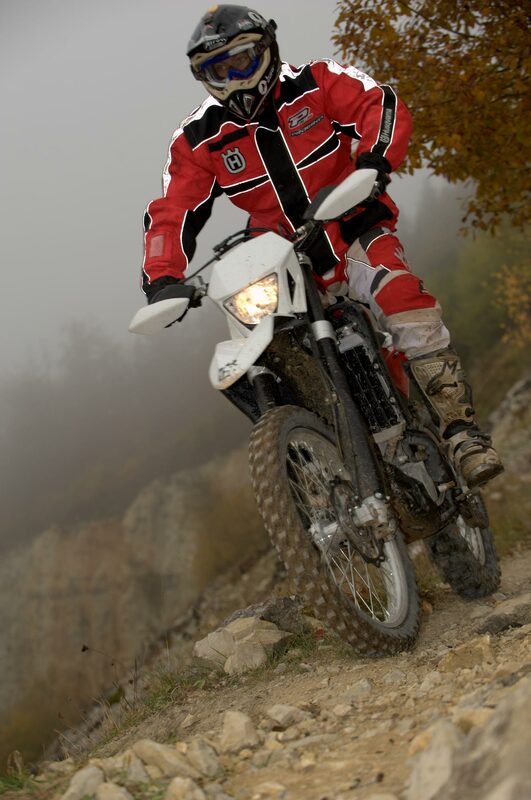 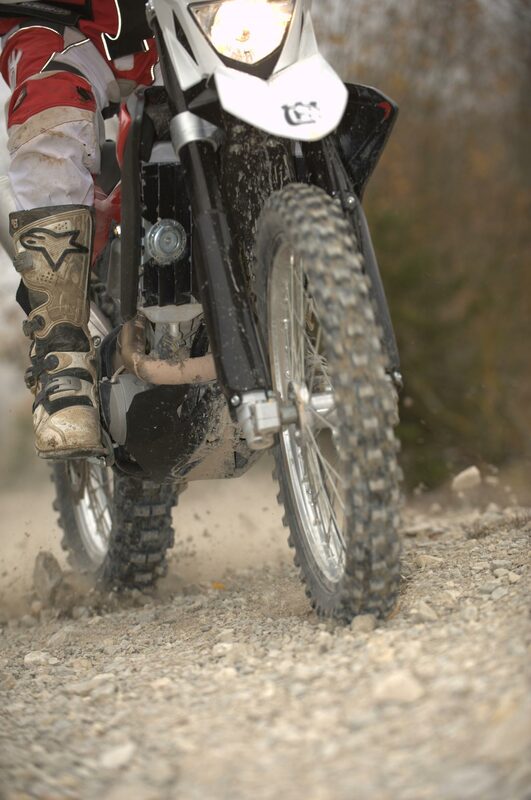 Derived from BMW’s extensive experience with the technology (BMW Motorrad was the first OEM to fit ABS to a production motorcycle), Husqvarna has taken the lessons learned by its German parent company, specifically BMW’s Race ABS from the S1000RR superbike, and adapted the technology for its dirt models for off-road racing. 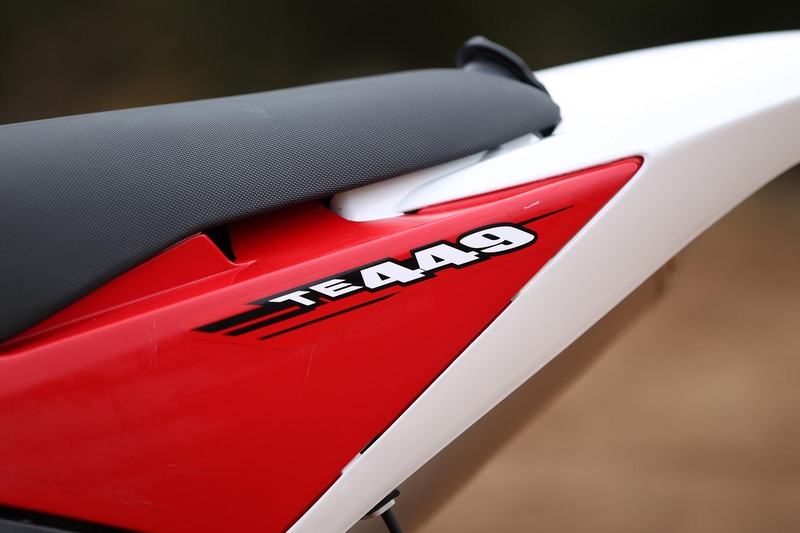 Continuing to prove our “electronics are the new horsepower” hypothesis and fitting the flagship Husqvarna TE 449 with the new off-road ABS technology, Husqvarna hopes to make a statement not only about the use of ABS in off-street conditions, but is taking things a step further by putting anti-lock brakes on a race-bred dirt bike. 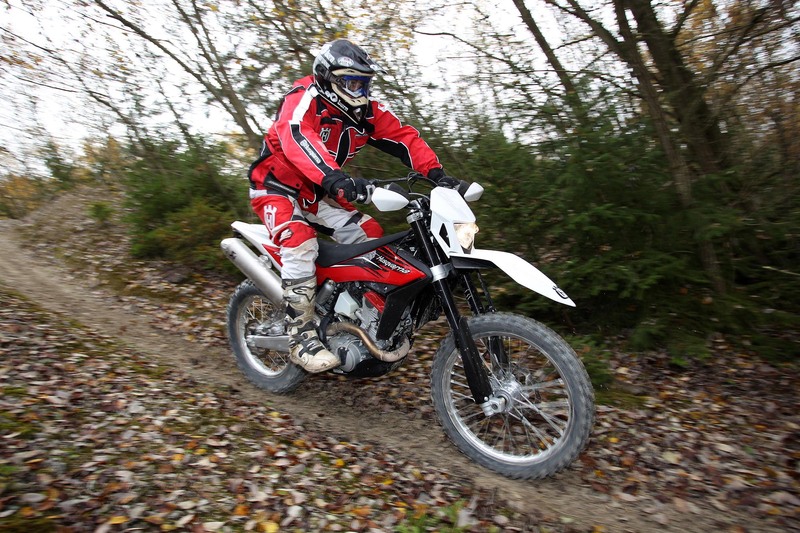 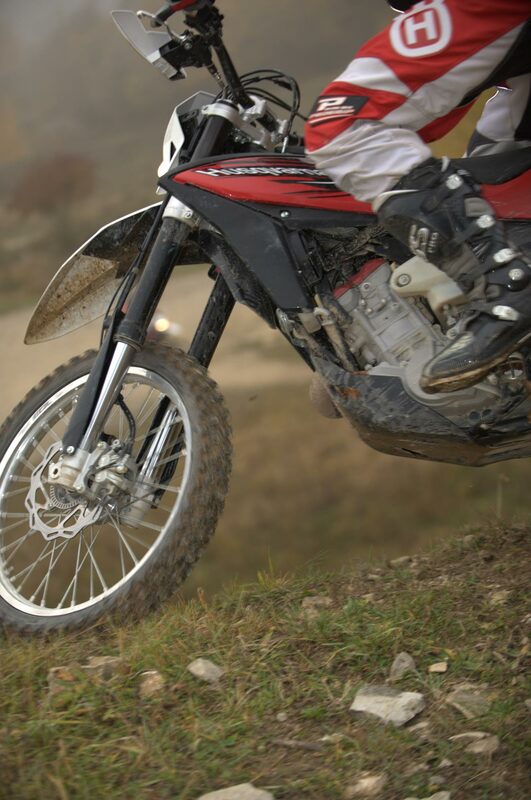 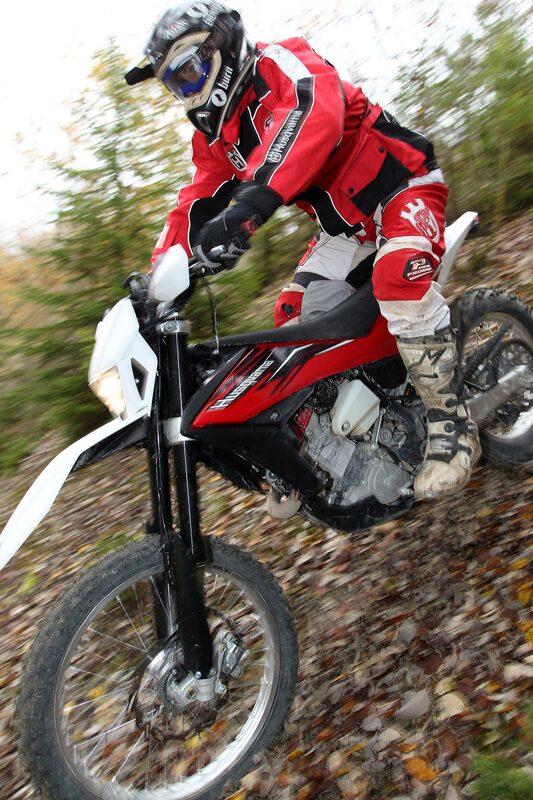 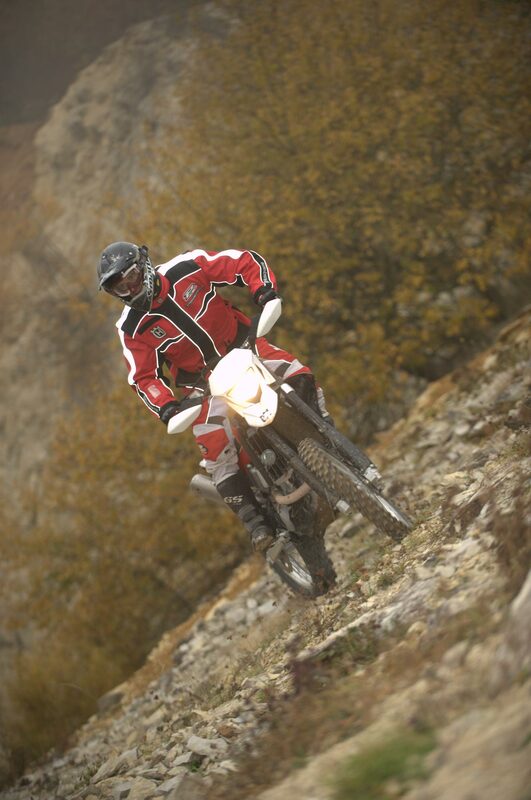 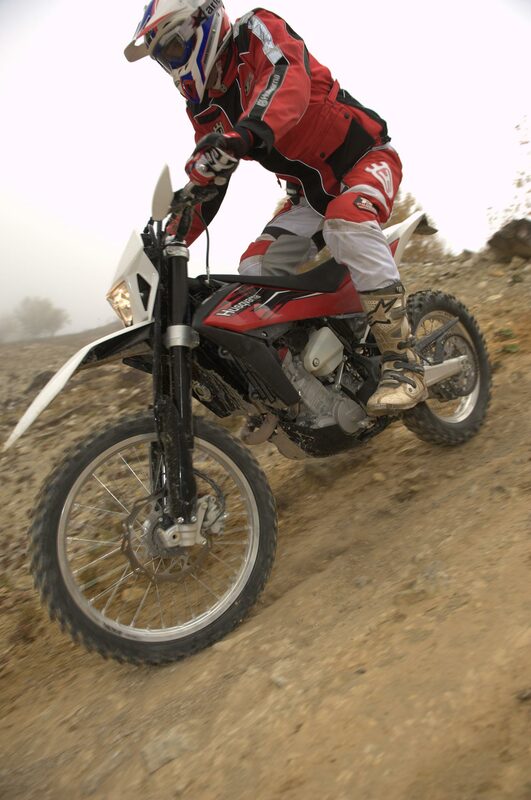 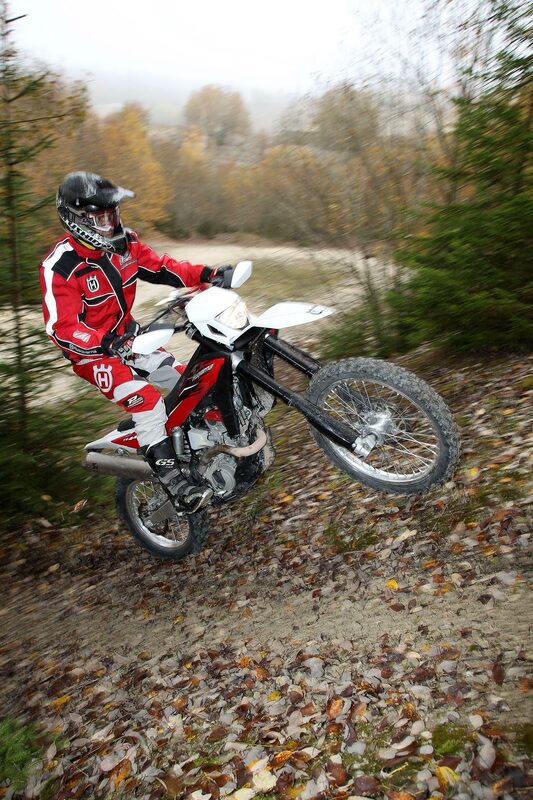 The key to the off-road ABS technology from Husqvarna is two-fold. 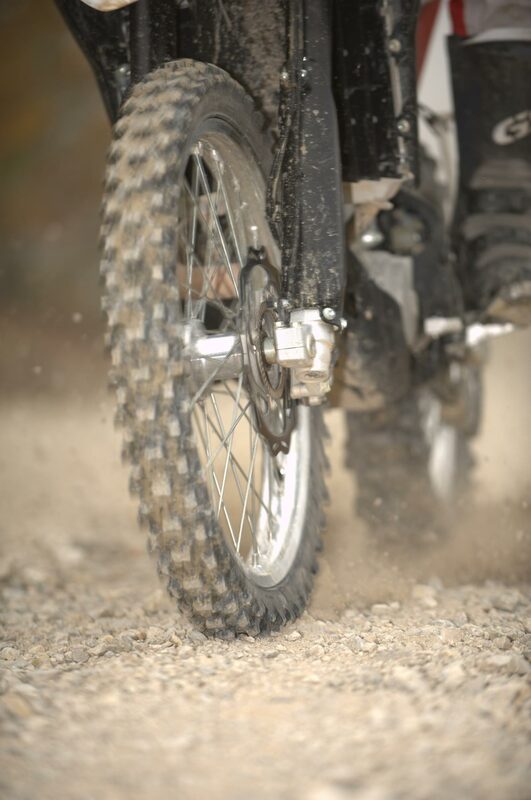 First, Husqvarna’s dual-channel ABS still allows for the rear tire to be locked-up while under heavy braking (this can also be achieved on the S1000RR’s ABS package under the “slick” mode setting). 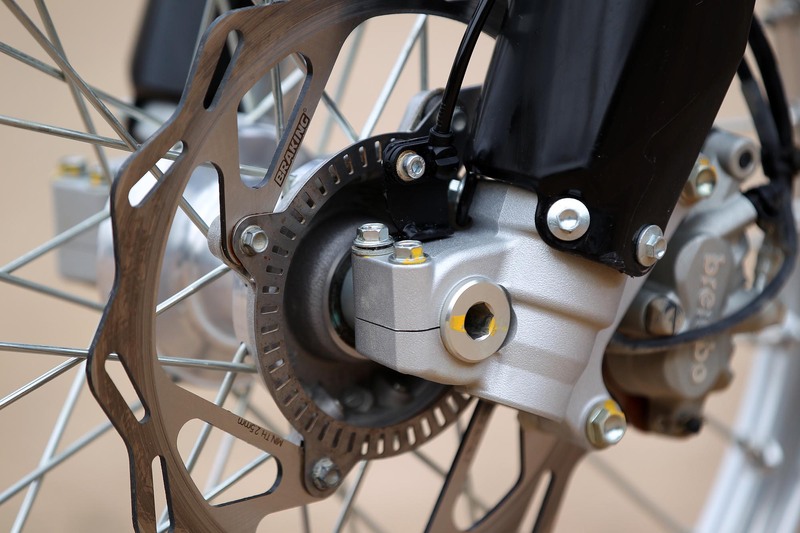 Second, the system, like its road-going counterpart, is extremely light, and only adds 1.5kg (3.3 lbs) of weight to the bike. 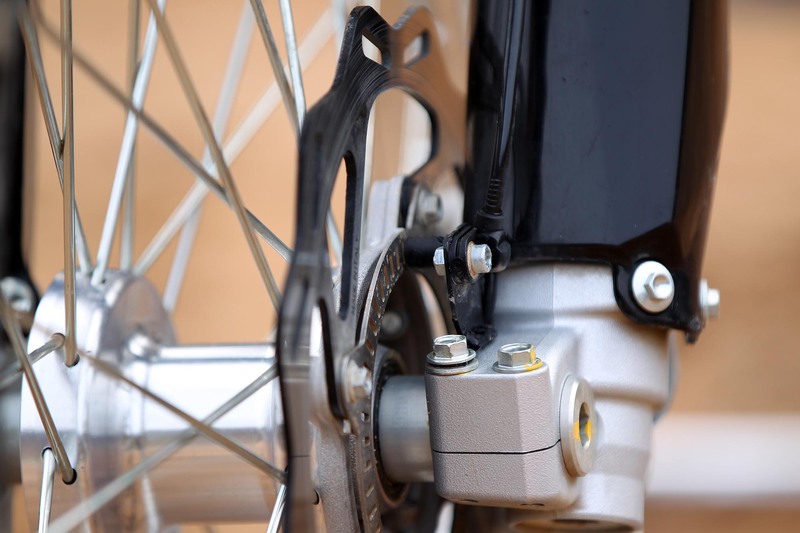 With two wheel sensors, one for each wheel, BMW/Husqvarna’s ABS system can analyze wheel lock on the front and rear wheel separately, and adjust braking power accordingly. 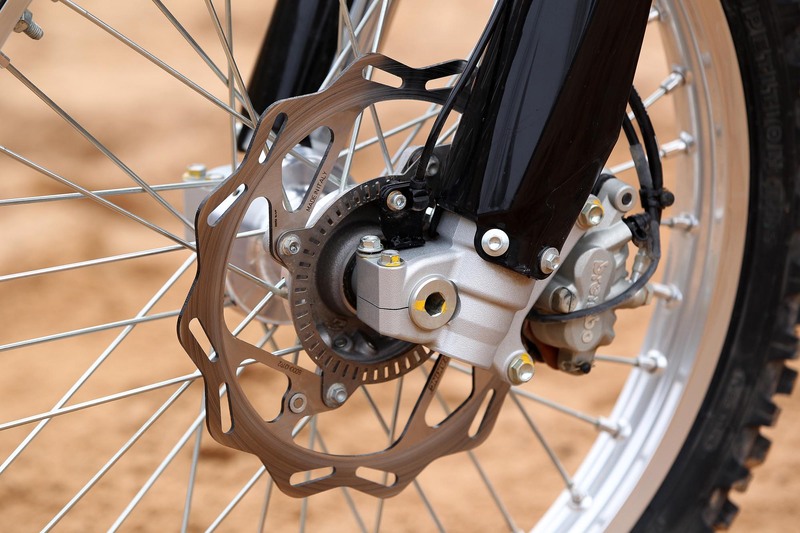 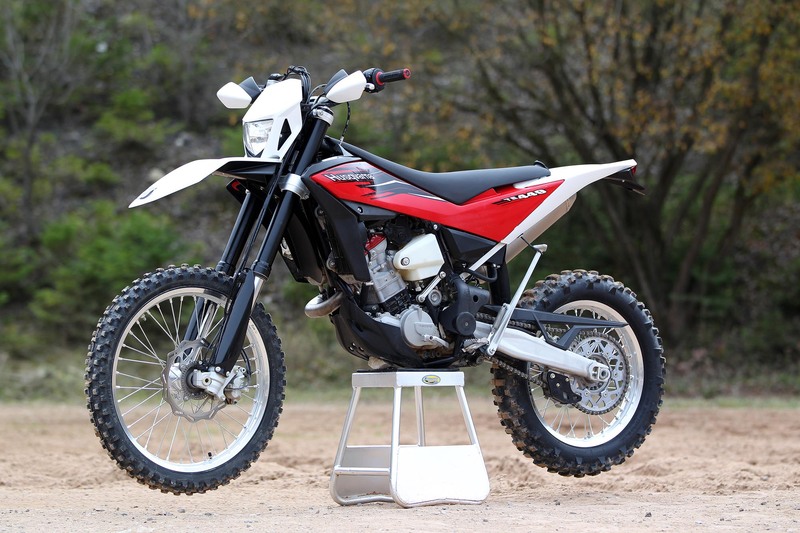 This dual-channel system is the key component to making ABS work in off-road situations, as it allows the anti-lock braking systems to pulse the front wheel brakes, while leaving the rear either open or locked, depending on the rider’s inputs. 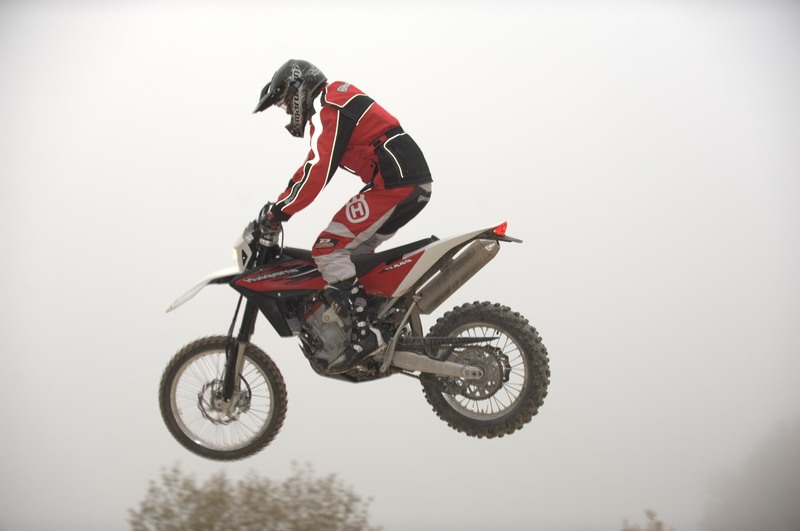 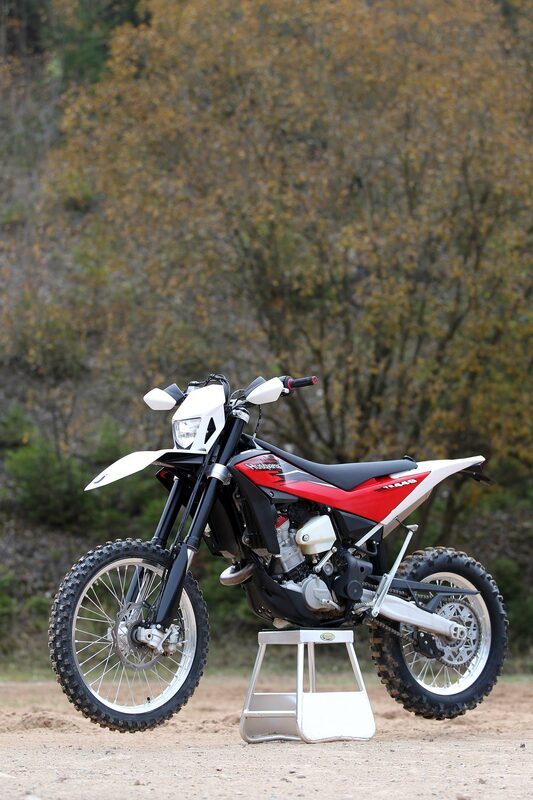 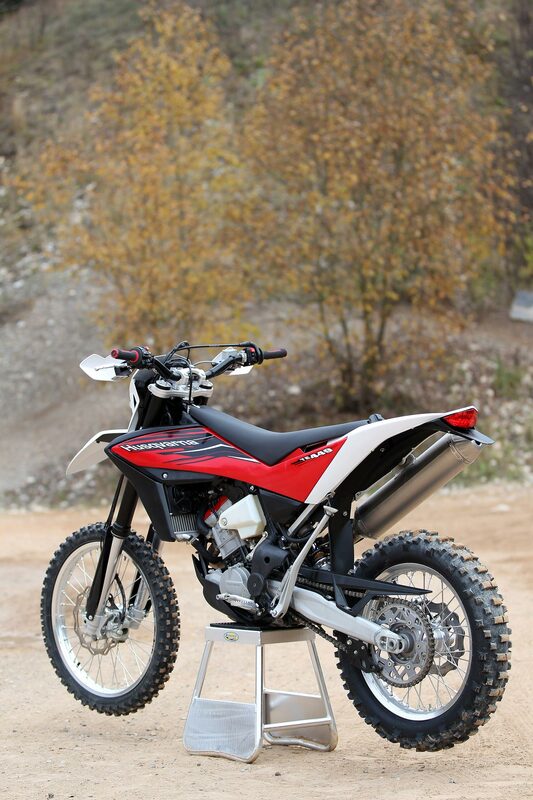 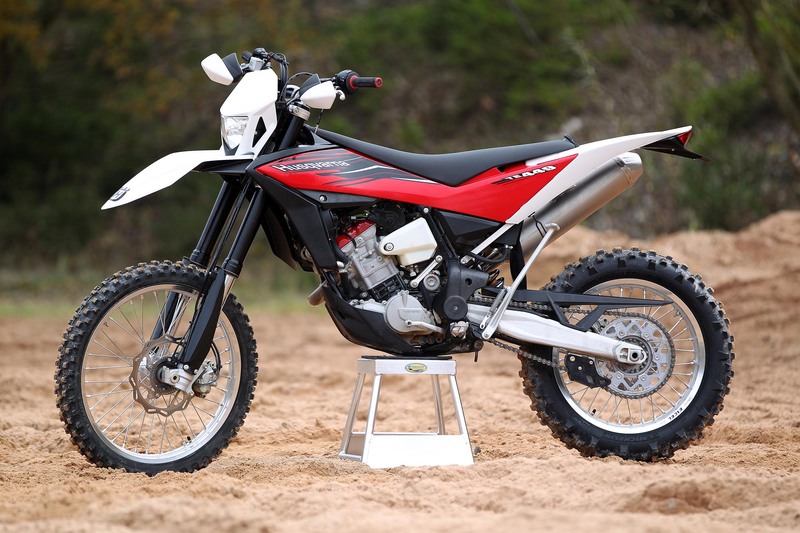 While Husqvarna is touting the off-road ABS as race ready, the real benefit will come to mere mortal off-road riders. 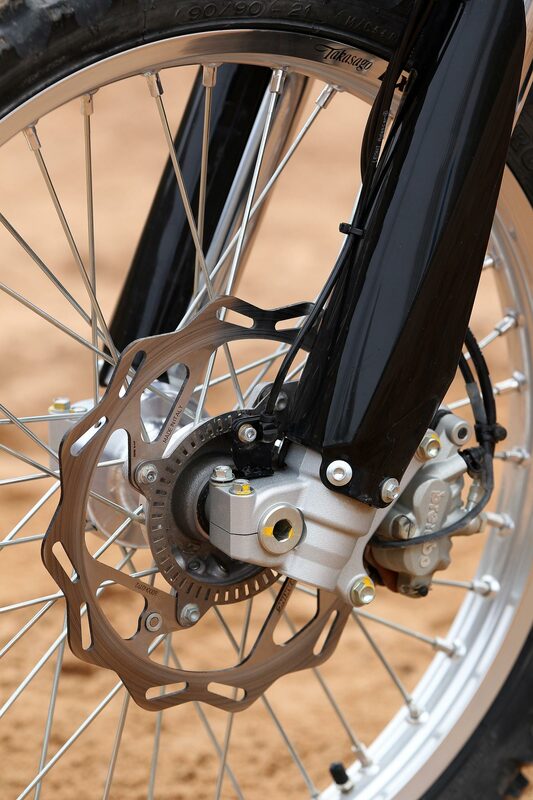 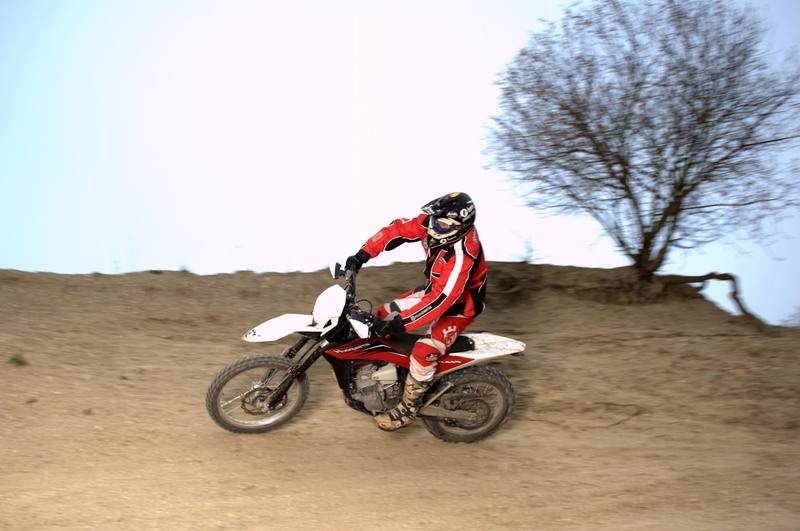 Giving added confidence and safety while applying maximum braking force to the front wheel, the Husqvarna anti-lock braking system benefits from letting riders drift the rear wheel as they are already accustom to doing. 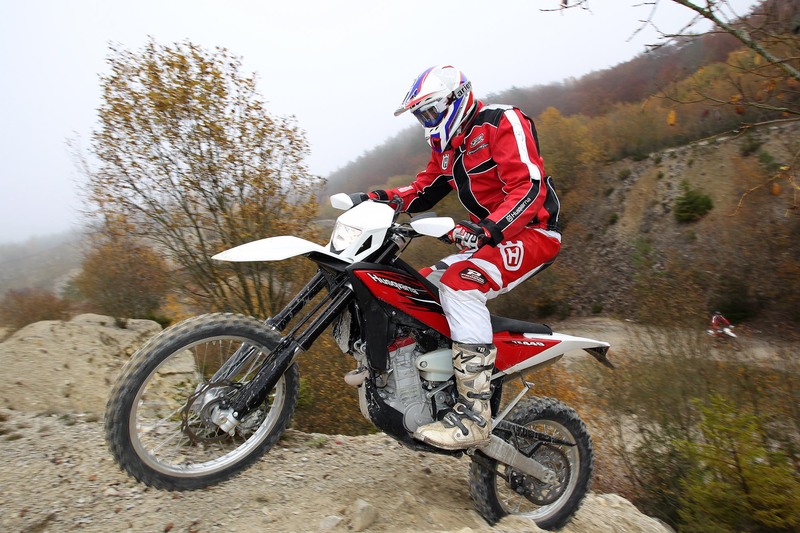 Husqvarna also hints at the new system’s use in enduro and adventure settings, where two different types of ABS regulation can be selected: one for on-road, and the other for off-road use. 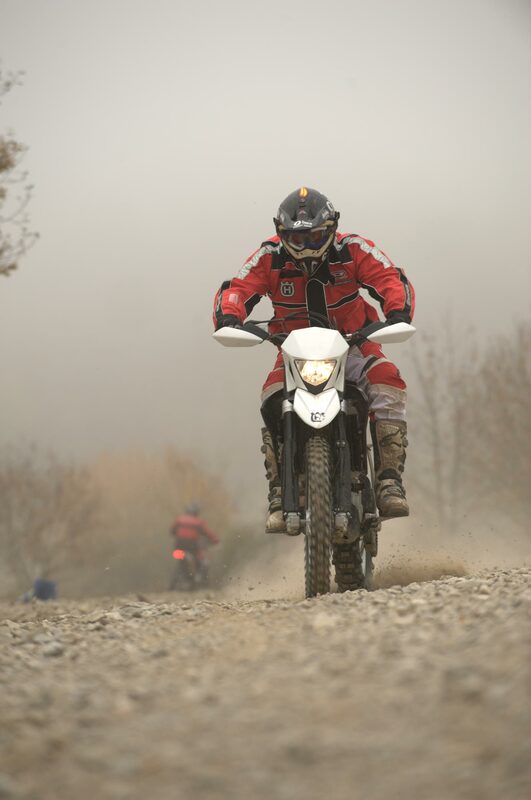 With BMW set to debut a new GS-series adventure bike, we don’t imagine that we’ll have to wait long to see that evolution come to ABS.